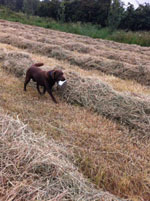 Carneyhall Kennels are kennels with a difference offering excellent accommodation for dogs, set in acres of privately owned land on the outskirts of Newry. Each kennel has its own outside run (twice the size of the indoor kennel) and there are a range of sizes to suit all needs. Underfloor heating in all accommodation. Bedding is provided for all boarders. Provision of music and talk radio/TV throughout the day and if necessary at night as well. Night lights are left on, every night. 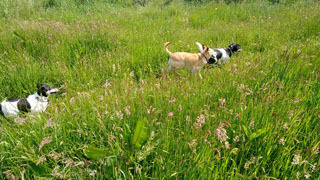 Dogs are walked twice a day across acres of privately owned land. 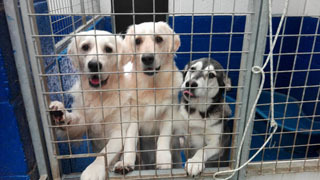 Provision of food and treats, with a tailor made feeding regime based on your dogs normal routine. 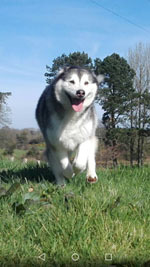 Experienced dog care and handling. Provision of day care/day creche facilities. Any dog staying for day care will recieve the same amount of love and attention as our full time residents. 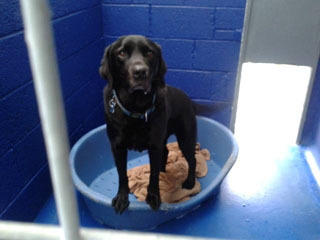 Our runs and sleeping areas are built to a scale larger than the minimum kennel regulations, giving dogs lots of space. We have designed extra large kennel hatches so that large dogs do not struggle. For the protection of your pets all our residents must be fully vaccinated within the last 2 weeks this includes yearly boosters and kennel cough. ALL VACCINATION RECORDS MUST BE PRODUCED.